Securing vehicle assets at dealerships is an ongoing challenge facing managers and owners. Theft of dealer vehicles is an all too common event. The challenge is growing with the ever expanding investment dealers are making in their demo, loaner and staff vehicle stock. ZAZ is designed to enable auto dealerships to secure their entire vehicle inventory and greatly reduce risk and losses. 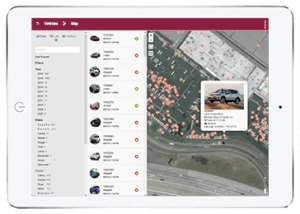 Our system allows dealer managers to instantly locate, find and recover missing or stolen inventory anywhere in the U.S. and Canada. Our comprehensive program secures dealers entire inventory, including stock, loaner, fleet and demo vehicles. ZAZ is intuitive – both easy to use and implement. In addition, dealers can set virtual boundaries that will instantly send an email alert for any vehicle that travels beyond a dealers set range. Auto dealerships can further reduce risks by monitoring Dealer’s loaner or staff vehicle for reckless or unsafe driving habits. For example, the system can send email alerts when vehicles exceed user defined speed levels. ZAZ offers complete asset security and asset protection design exclusively for franchise dealerships.